There are millions of people who have sensitive skin. According to the American Academy of Dermatology, as many as 50 percent of the patients who seek help have sensitive skin. There are a variety of symptoms associated with this condition including itchy, scaly skin, red patches, acne, and contact dermatitis (allergy). How you respond to treatment depends on the daily care of your skin and the types of products you use. Sensitive skin needs a lot of TLC. Knowing your skin type and using the appropriate skin care products can make a difference between healthy and damaged skin. The skin is the largest organ of the body; it is the most visible and has several functions. It acts as a barrier, protects you from temperature changes, and most importantly, it protects you from harm and is waterproof. Yet, it is very permeable to many substances, including fragrances, dyes, and chemicals introduced to it by lotions, creams, patches or whatever it is in contact with. The skin has several layers. The outer layer and the one we see is called epidermis. This is composed of epithelial cells, which are one of the four main cell types in the body. The cells of this layer are shed regularly and new ones take their place. The rate of cell turnover slows down with aging. With little care of the skin, the rate may also slow down, causing build up of dead cells and premature aging. The deeper layer is called dermis, which provides the structural support and flexibility or elasticity of the skin. This is where collagen and elastin are formed. The blood supply for the epidermis is also contained here. Your skin has natural moisturizing factors to help retain water. If the moisture in the skin decreases, skin cells starts to break down and your skin becomes dull, thick, rough and scaly looking. The skin maintains smoothness and flexibility due to hydration and proper daily care. Certain irritants damage the skin barrier, cause loss of water and make it harder for your skin to stay smooth and pliable. If these factors are not addressed and you continue to use irritating products, the result can be eczema, psoriasis, extreme dry skin, premature aging and other signs of sensitive skin. The irritants in products are capable of causing cell damage, especially when used for long term. The harsher the skin care products and longer the use of them, the more likely damage results. 1. Dry skin — The winter is when your skin is the driest. Reduced humidity can also dry the skin. Your skin often feels tight and dull looking. For this type of skin, special care is required since hydration and moisturizing are so important to healthy skin. Use a gentle lotion cleanser and wash your skin no more than two times a day, preferably morning and nighttime. Reapply moisturizer at midday, if need be. A facial mask with dead sea mud and kaolin clay can add vital nutrients to your skin and keep it soft and hydrated. 2. Oily, acne prone skin — You must keep acne prone skin clean. Wash your face at least two to three times a day to help keep a balance between water retention and natural oils of the skin. Only use skin care that are non-comedogenic (won’t clog skin). An oil-free moisturizer should be applied after cleansing. Although your skin is oily, a light oil-free moisturizer is needed. Exfoliating scrub that is gentle is helpful once or twice a week as well. This helps remove dead cells and allows new cells to surface. 3. Combination skin — Being both dry and oily can be a challenge to take care of. The forehead, nose or chin are usually oily, with the dry zone being the cheeks. Always use a gentle cleanser and light moisturizer. Clean your face once or twice a day. 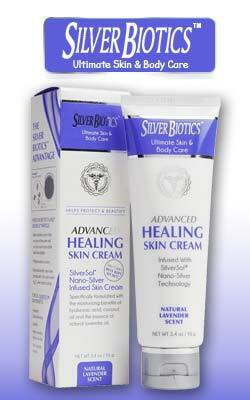 To reverse damaged sensitive skin, replace loss of moisture on the skin. Keeping your skin hydrated is very important. A good moisturizer should help increase the water content with ingredients that are similar to the natural components of the skin. The sun along with ultraviolet radiation is essential for the production of vitamin D. However, too much sun is not a good thing and an enemy of your skin. UVA penetrates deep into the skin and can cause skin damage. UVB does not penetrate deep into the skin and is responsible for sunburn. Frequent sun exposure without protection can cause premature aging of the skin through the collagen and elastin fibers of the dermis. It can also lead to skin cancer. Protecting your face with a broad spectrum sunscreen is very important. The best and safest type for sensitive skin includes zinc oxide and titanium dioxide for UV protection. With proper sensitive skin care, you can have confidence in how you feel and look. Beauty should always be from inside out. Previous Article Do You Have Salicylate Sensitivity?